We love recycled shipping containers, but we especially love to see them used in a humanitarian context that literally saves lives. The New Jerusalem Orphanage is a sanctuary for up to 80 orphans in South Africa. 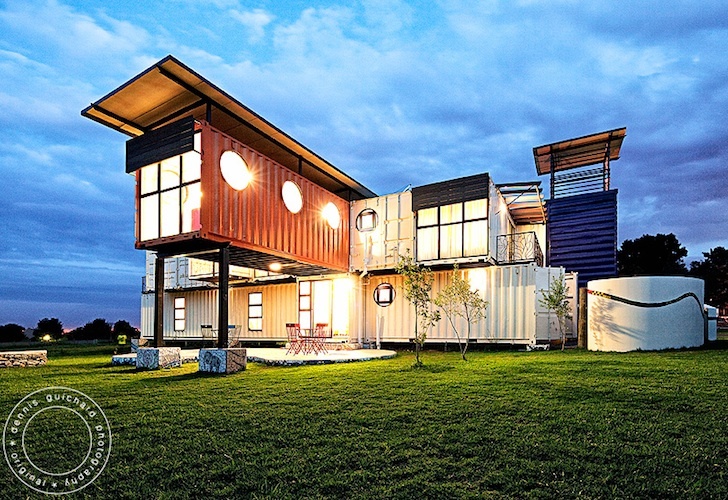 Designed by 4D and A Architects, this colorful container house is complete with lovely light-filled rooms and mosaic detailing. Pick up a kleenex and flip through our gallery of these gorgeous images by Dennis Guichard for a closer look. Two sisters established the orphanage in 2000 in order to care for children in the Midrand who have been either abandoned or orphaned because of poverty, HIV or other social problems. Due to expansion, New Jerusalem orphanage commissioned 4D and A to build new houses for the children, whose ages range from infancy to 16. 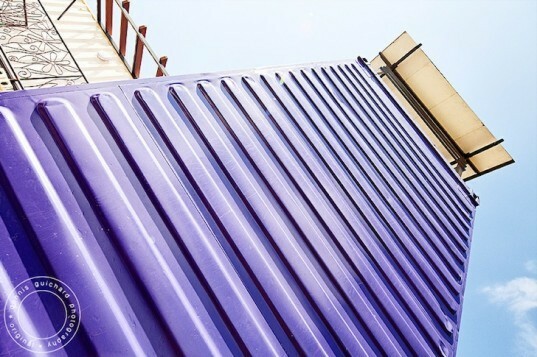 Recycled shipping containers were chosen as the main building material because they are 25 percent cheaper than conventional brick and mortar homes. Each unit contains enough space for twelve children and a house mother, and two houses share a communal kitchen, dining and lounge area. These are all vibrant, inspiring spaces that not only make the orphans feel loved and special, but also help to stimulate their stunted development. Of course, funding for the project is hard to come by. Whilst a host of private donors, NGOs, businesses and the Department of Social Development have lent a hand, New Jerusalem Orphanage is actively seeking more funding so they can continue the most important work of nourishing the bodies and minds of these fortunate children. The project is quite interesting and excellent in execution. Putting art to an ordinary orphanage shelter by using container van is "CREATIVITY and PRACTICALITY" 3 thumbs up!! !